Tripathi today said Mamata Banerjee's charges are baseless and meant only to emotionally blackmail the people of the state. KOLKATA: Dismissing Chief Minister Mamata Banerjee's allegations that he humiliated and insulted her, West Bengal Governor K N Tripathi today said the charges are baseless and meant only to emotionally blackmail the people of the state. Reacting strongly to Banerjee's allegations, Tripathi in a statement said "instead of making accusations against him, it is better for the chief minister and her colleagues to direct their attention to maintain peace and law and order in the state without making any distinction on the basis of caste, creed or community." "The governor is of the view that Raj Bhawan is not a department of the state government and is open to every citizen to approach him for redressal of his or her grievances," he said in the statement released by the Raj Bhawan here. "It is wrong to say that Raj Bhawan has become the office of the BJP or the RSS," he said. 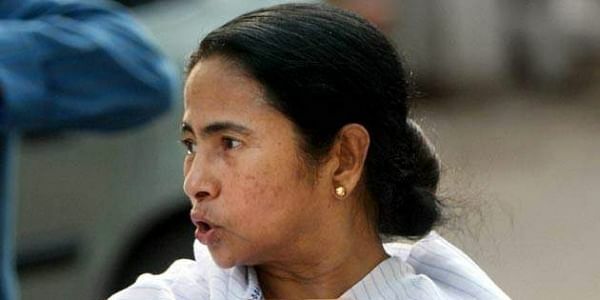 "Her (Banerjee's) allegation is baseless and is meant only to emotionally blackmail the people of West Bengal," he said. The governor emphasised that "Raj Bhawan is not expected to tear off or throw in the wastepaper basket, the representations received by the governor or his office from any person. Whenever any such representation is received from anyone, the same is forwarded to the state government for appropriate action." Reacting sharply to TMC secretary-general Partha Chatterjee's statement that the governor is crossing his constitutional limits, Tripathi said it is an attempt to cover the lapses of the state government and divert attention from the main issue. "The governor has been apprised of the statement of Partha Chatterjee, Hon'ble education minister, and regrets to say that this is an attempt to cover the lapses of the state government and divert attention from the main issue of law and order," the statement said. "The governor is fully aware of his constitutional obligations and limitations and needs no lesson from anyone on this count," it stated. Criticising Banerjee for raising questions on how being a governor, he interfered in the law and order of the state, Tripathi said, "True that the chief minister has been democratically elected by the people, but it should not be forgotten that the governor is also appointed by the president on the recommendation of a democratically elected Union government. "In fact, the allegations of the chief minister amount to insulting and humiliating the governor and his office."